#687 of 1500. LEC Exclusive. My professor’s interests lie in caves; the Maya as a group treated them with extreme reverence, and would often leave artifacts in there as gifts to the underworld. The Maya also practiced sacrifice, as blood was among the highest gifts you could give to the gods. 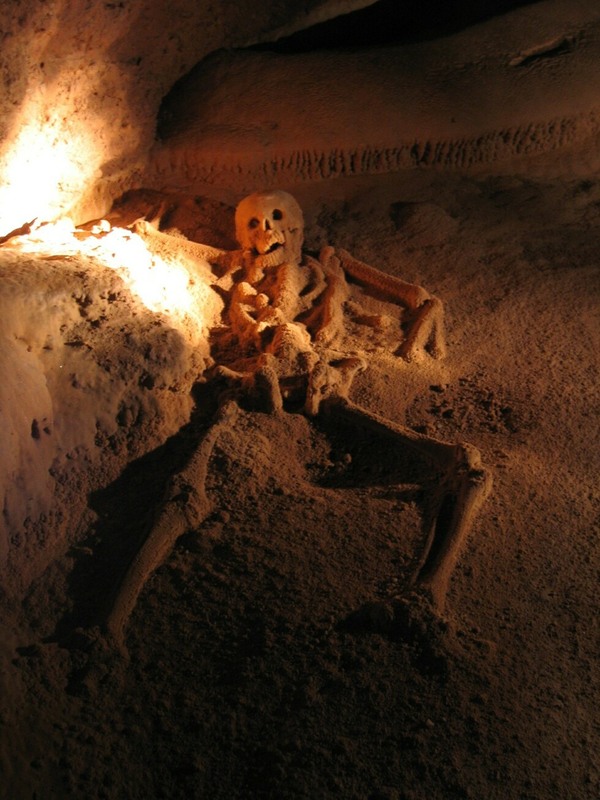 One of the more famous sites in Belize is the Actun Tunichil Muknal Cave, where within lies a crystallized female skeleton known as the Crystal Maiden. You can read up more on her and these practices here. My professor believes that these rituals were done to appease the rain god Chaak (spelling differs, but I believe this is how my professor spelled it). 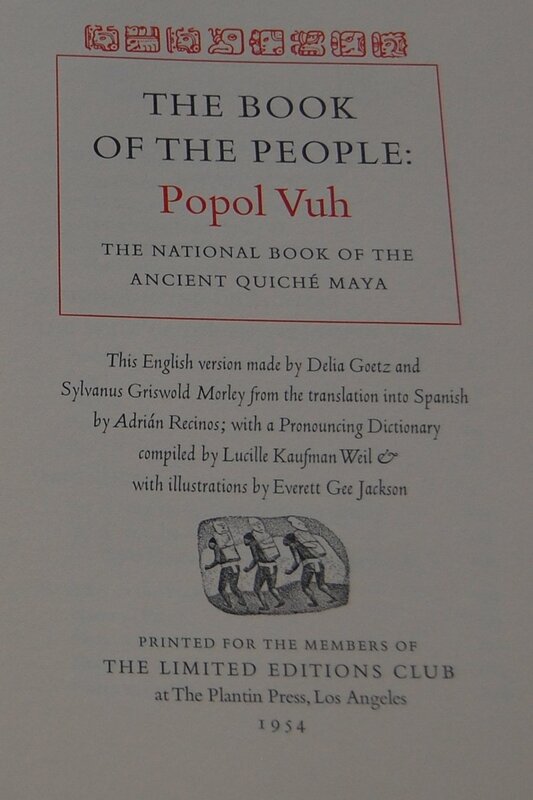 The Maya religion is quite fascinating as a whole, especially one of the few books that survived to the present day, the Popol Vuh. I recommend taking a quick look at this PDF or buying Allen J. Christenson’s translation if you’re curious…or track down this edition of the book! Okay, so with that background out of the way, let’s get back to the LEC edition. This is the 251st book of the LEC, so it fell outside of the Quarto‘s 250 volumes. Fortunately I do have a monthly letter to get into some details for you. Curiously, the letter devotes a page or so to Clarence Day the author of Life with Father, but does eventually focus itself on the topic at hand. Now please keep in mind that the text here was produced in 1954, and that both knowledge on the Ancient Maya and anthropological practices have greatly increased and improved, respectively. 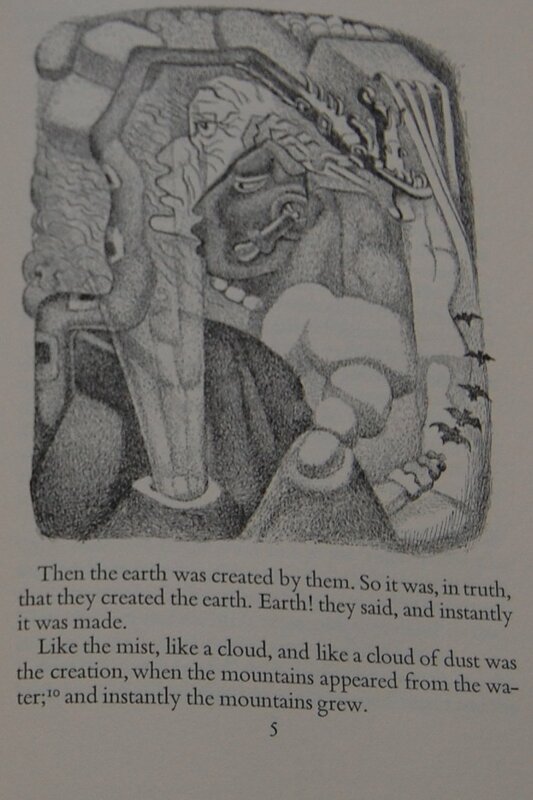 This book appears to have come about due to the interest of illustrator Everett Gee Jackson, a professor of art at San Diego State at the time, who had told Macy that he had desired a commission to bring his artistic touch to this classic work of Latin America before he died. Macy obliged, and Jackson headed to several Maya ruins scattered throughout Mexico, Guatemala and Honduras for reference. 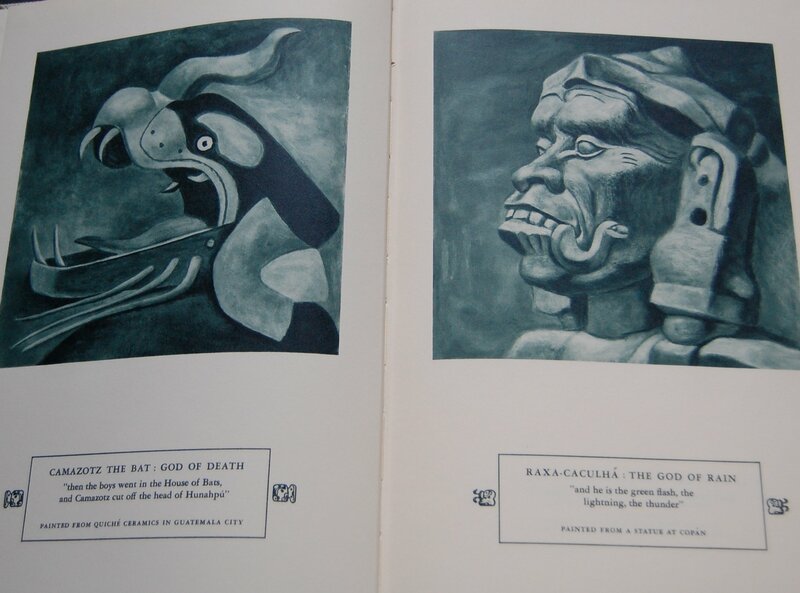 His yearlong trek brought him to some of the most astounding Maya ruins still standing, including Chichen Inza, Copan and Tulan, and ultimately led him to produce several paintings of key figures of the Popol Vuh (eight of which were selected to lead off the book) and fifty drawings that decorate the text. Now Jackson does a fine job here, but it is a bit of a disappointment that another LEC alum didn’t get the offer — Miguel Covarrubias. Covarrubias had worked alongside translator Sylvanus Morley and produced papers with the noted archaeologist, but given Macy’s several headaches dealing with the artist in the past, it’s unsurprising that such a call was never made. Anyway, this was Jackson’s first solo commission for the LEC, and I’ll let his publication history from an earlier post on Paul Bunyan tell the rest. 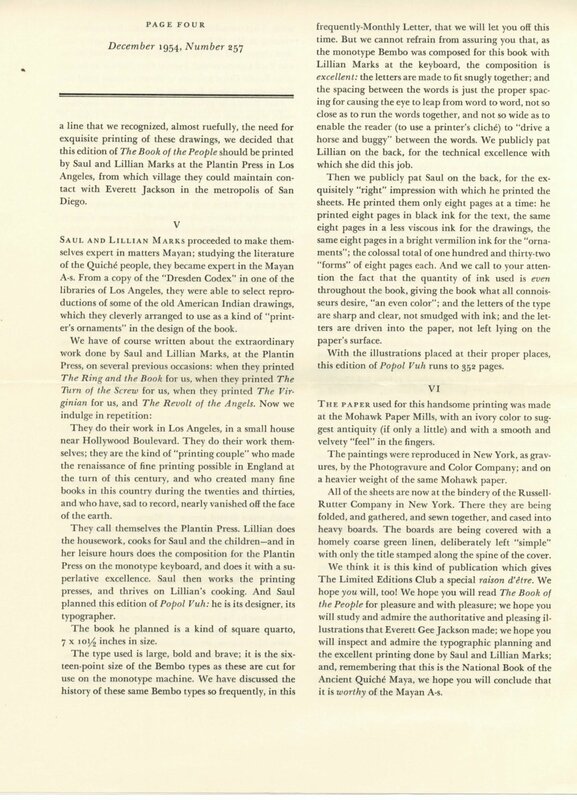 Design Notes – Saul and Lillian Marks of the Plantin Press were called in to design and publish the book. 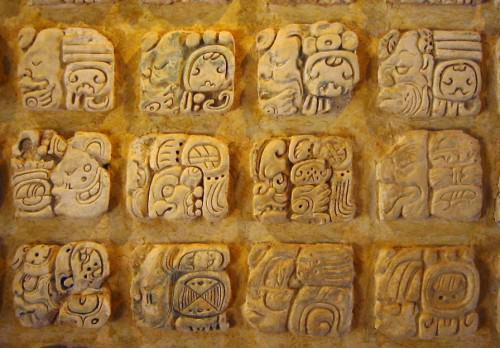 They dug into the history of the Quiche Maya people and utilized the “Dresden Codex”, one of the scant remaining copies of a Maya text, as the base for their design, taking the Mayan hieroglyphs discussed earlier as decorations throughout the work. Saul handled the implementation of the design and the typography, while Lillian set the text (in Bembo) quite excellently. Paper was supplied by Mohawk Paper Mills, the paintings reprinted by the Photogravure and Color Company, the drawings properly printed by the Marks themselves, and Russell-Rutter performing the bindery duties per usual. 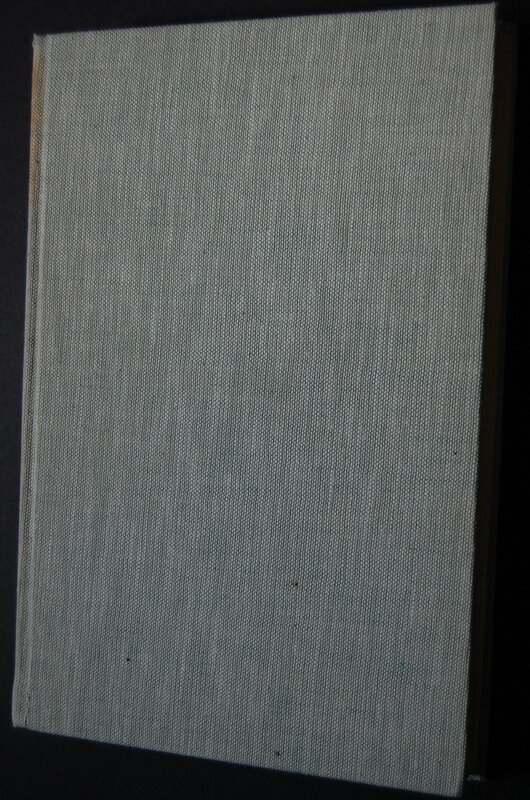 The binding was deliberately kept simple; a coarse green linen with only the title being stamped in green on the spine. Spine – Mine has an unfortunate stain on the spine. I’ll have to look into some sort of way to clean it. Slipcase – Alas, the bookseller felt compelled to apply a price label on the text of the slipcase, so when I tried to remove it I lost the “Vuh”. This is one of my biggest pet peeves in used books, and it’s tragic when it happens to rarer books like these. 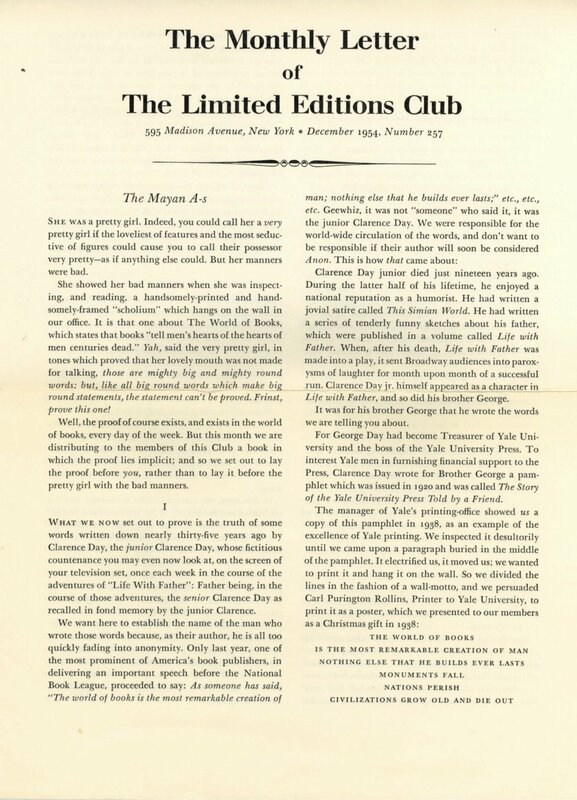 Title Page – The text reprinted here is the translation done by Morley and his partner Delia Goetz, which was in turn taken from the Spanish translation by Adrian Recinos, a former ambassador for the U.S. from Guatemala. 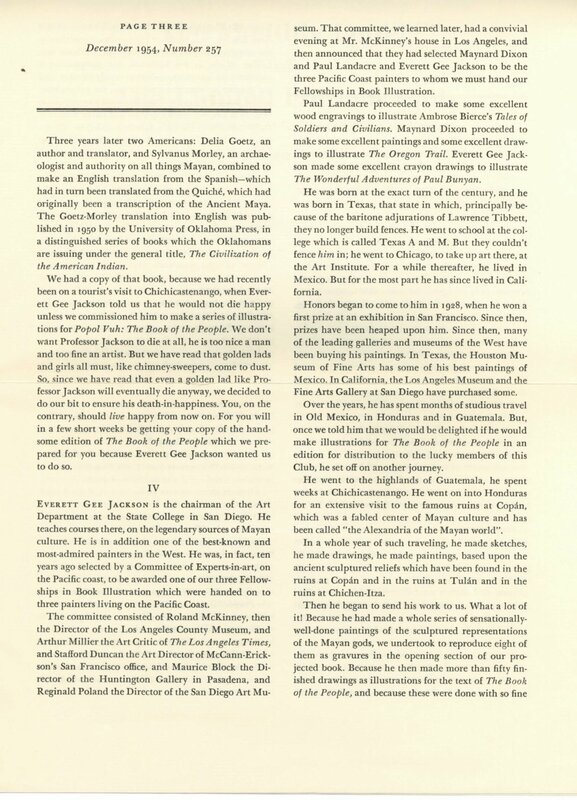 The English was originally printed by the University of Oklahoma, who gave Macy permission to reprint their text. Lucille Kaufman Weil supplies a pronunciation dictionary and there is a meaty appendix in the back. The introduction writer is unspecified, but I suspect either Morley or Goetz was behind it. 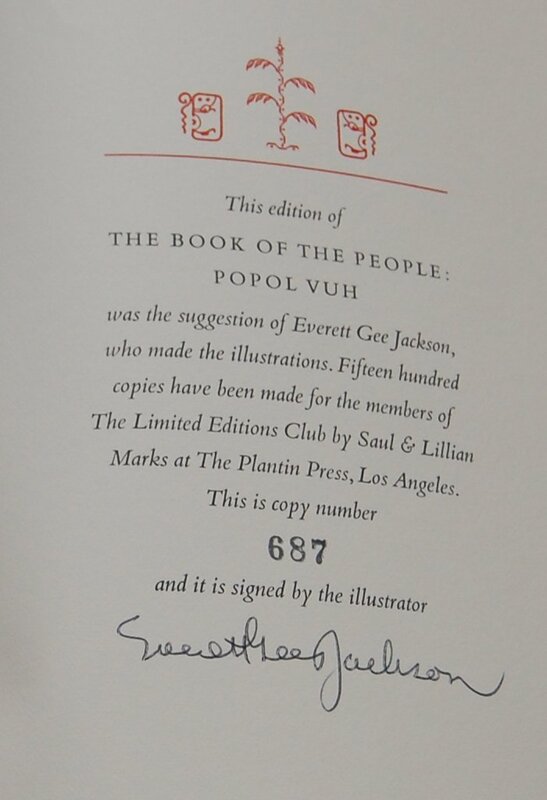 Colophon – This is copy 687 and signed by Jackson. Front Endpapers 1 – When you open the Popol Vuh, you’re greeted with these character portraits and small bios Jackson made from actual reliefs from the Maya. 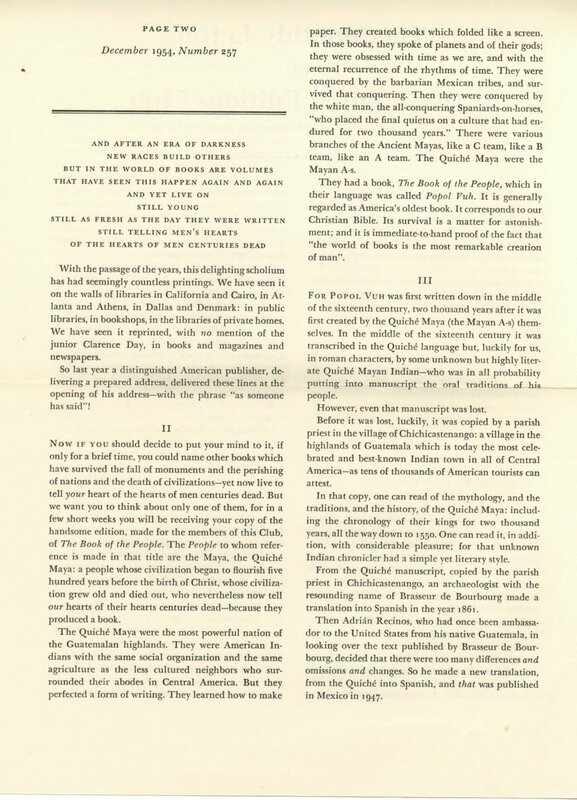 Page 5 – The text itself features black and white illustrations of various sizes. Personal Notes – I ordered this one from an online seller around the time I got the two Cyrano LECs, as this was the other major wishlist item I had. This one isn’t quite as excellent in condition as the Cyrano as there’s a decent stain to the spine, as well as some slipcase damage thanks to a bookseller sticker and some heavy wear, but otherwise it’s in pretty good shape and I’m happy to have it. If you’re at all interested in learning more about the Maya and/or want to read fiction I’ve written, please take a look at my archaeological fiction on the Maya on my academic site P4. 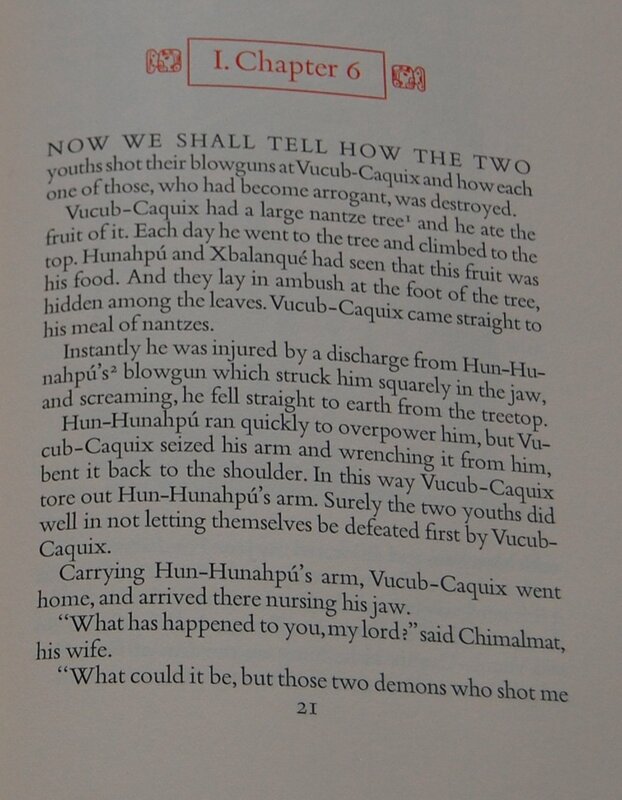 There’s two short stories I wrote for a class that are heavily sourced from available Maya information from many experts in that subject area, and I am pretty proud of them, too. Fascinating post, Jerry! I’m in total agreement that it is unfortunate that Covarrubias had worn out his welcome with Macy by this time, as he would have been an ideal illustrator. 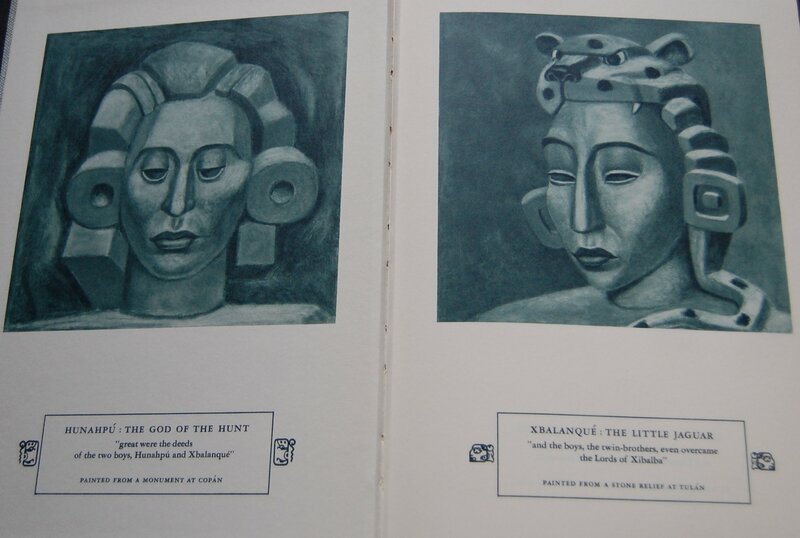 You are currently reading Limited Editions Club: The Book of the People: Popoh Vuh (1954) at The George Macy Imagery.